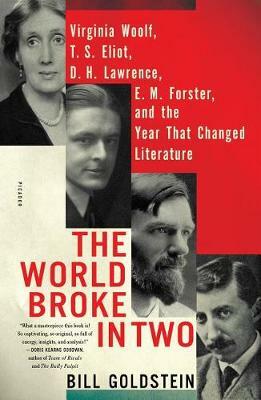 `The world broke in two in 1922 or thereabouts,' the American author Willa Cather once wrote. Yet for Virginia Woolf, T. S. Eliot, E. M. Forster and D. H. Lawrence, 1922 began with a frighteningly blank page. Eliot was in Switzerland recovering from a nervous breakdown. Forster was grappling with unrequited love. 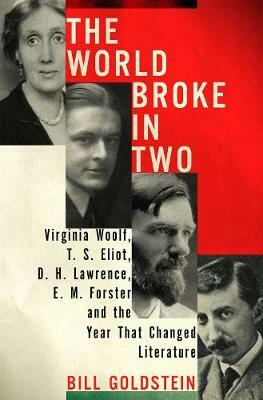 Woolf and Lawrence, meanwhile, were both in bed with the flu. Confronting illness, personal problems and the spectral ghost of World War I, all four felt literally at a loss for words. As dismal as things seemed, 1922 turned out to be a year of outstanding creative renaissance for them all. By the end of the year Woolf had started Mrs Dalloway, Forster had returned to work on A Passage to India, Lawrence had written his heavily autobiographical novel Kangaroo, and Eliot had finished - and published to great acclaim - `The Waste Land'. 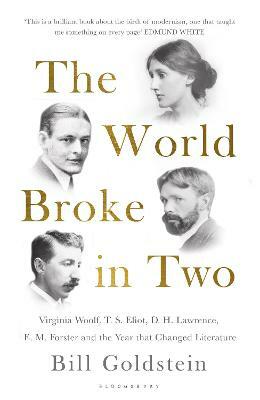 Buy The World Broke in Two by Bill Goldstein from Australia's Online Independent Bookstore, Boomerang Books. Bill Goldstein is the founding editor of the The New York Times books website and the book critic for the weekend edition of WNBC's Today in New York. He is also curator of public programs at Roosevelt House, the public policy institute of New York's Hunter College. A graduate of the University of Chicago, he received a PhD in English from City University of New York Graduate Center in 2010, and is the recipient of writing fellowships at MacDowell, Yaddo, Ucross and elsewhere. He lives in New York.